...it's a possibility, if you are in Tokyo! Posted on Shintaro Kago's site comes news that he'll be appearing at a opening reception and screening at Tokyo's avant-gallery, Cafe FLYING TEAPOT. 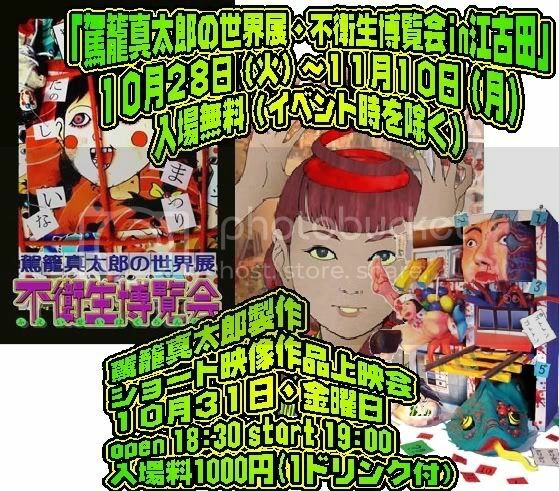 This event is the highlight of 2-week gallery show of works by Shintaro Kago. Kago will be in person at the Halloween night show, featuring a screening of new animated works, along with some ghastly figurines and toys. Entrance is 1000円, and doors open at 6:30pm. 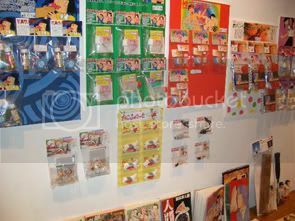 Manga collections, new dojinshi, his dvd of animated films, post cards, prints, limited edition toys and original drawings and works. My buddy Nate (who just moved to central Tokyo for a year, and authored the "DEPARTMENT FOR IMPLEMENTING 15 KINDS OF VIOLENT DEATH" feature in Electric Ant #1)) will be attending the event in my stead, and sending pictures and details over the weekend. Cafe FLYING TEAPOT is located in Nerima-ku, a little north of Nakano and west of Waseda. Full event details at Kago's site (link above). THANK YOU FOR HOOKING US UP, NATE! I dont know why some of this pictures reminds me of a japanese book that have a lot of info of the most important horror mangas with and incredible cover of things of hideshi hino and some others!! 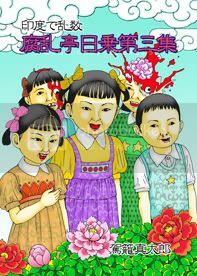 I cant imagine a limited toy of shintaro kago what can be! !Just thinking in dance kremlin palace,having a stalin or a lenin designedy by him and I am laughing!! we need more stuff of kago around the world,not only japan! !It is not fair,that such an artist like him doesnt have works translated in others countries! keep the good work as always!! Yeah, I actually know the Japanese Horror Manga encylopedia book you are talking about... I have that same book! It's a similar type of really crazy and colorful and busy title. I think that style is really common in japanese tabloid newspapers, but makes for a confusing flyer.. or book cover! if this guy can get a hold on some of those dvds, he should really concider to rip them and load them up somewere......I really want to see those. sweet lordy those need to see those.